For so many educators, this school year is bringing a lot of change! Learning that once took place in a computer lab can now take place anywhere. There are changes to policy and procedure, changes in high-stakes testing, and lots of changes in the way technology is being used in school. 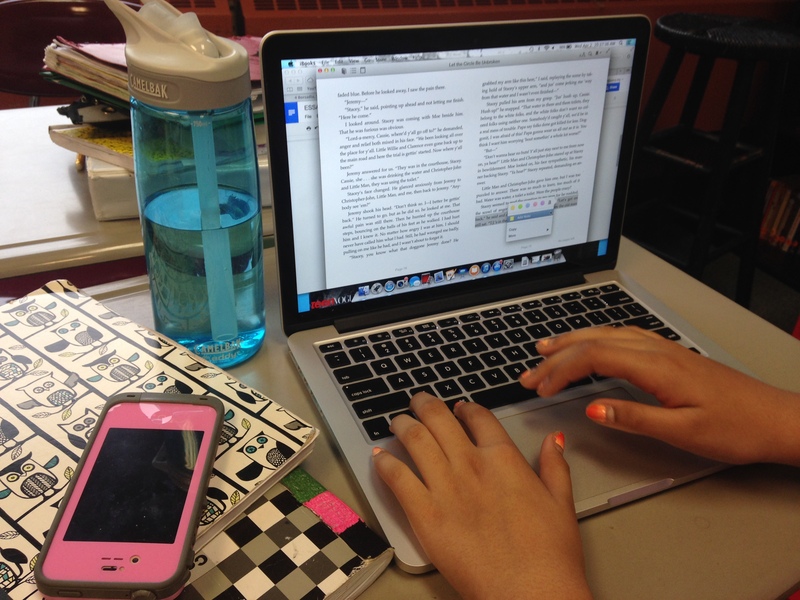 To incorporate the experiences students have outside of school and prepare them for tests, graduation, and life in a digital world, many schools are now adopting BYOD and 1:1 learning programs. This means that teachers no longer have to depend on signing out computer labs or borrowing carts of computers. This means that students don’t have to wait to take a turn on devices in the classroom. This means that devices and access to the internet are directly available to each student all day long. This means that the climate and culture of many classrooms are changing. This means that teachers and administrators, along with students, are learning lots of new things. Cell phones, once banned from the classroom, are now a regular part of the learning environment. Almost instantly, a 1:1 learning environment becomes a collaborative and student-centered learning environment. While classes aren’t going entirely “paperless” they are using much “less paper.” Some educators, who have been in the field for five, ten, or twenty years are suddenly feeling like it is their first year of teaching all over again. Professional development for teachers today includes many tutorials and workshops on how to navigate some of the apps and devices the students are using. Beyond the tutorials, educators are sharing best practices for lessons and activity ideas as well as tips and strategies for classroom management in 1:1 environments. Here are some key points to help new and veteran teachers manage a 1:1 learning environment. Let it happen gradually. Changing a classroom climate and culture is not going to happen overnight. Start small and start slow. Choose one new thing at a time to change, and when you get used to it, choose something else. The teacher is still in charge of the classroom, not the technology. When new technology is introduced into a classroom, some teachers feel like it takes over. Don’t let it. The teacher is still in charge of managing the classroom. Setting up classroom routines to “close lids” on laptops and “flip” tablets over so that the screen is hidden are helpful in making sure that students are focused on the teacher or other speakers in the class during whole group work. The technology is not a separate entity. The technology in the classroom does not need to be treated as anything foreign to the course. Incorporate the technology into existing classroom routines and policies instead of developing new policies around the technology. Think of it as you would a pencil, textbooks, loose leaf paper, markers, poster board, test tubes, or any other classroom materials. 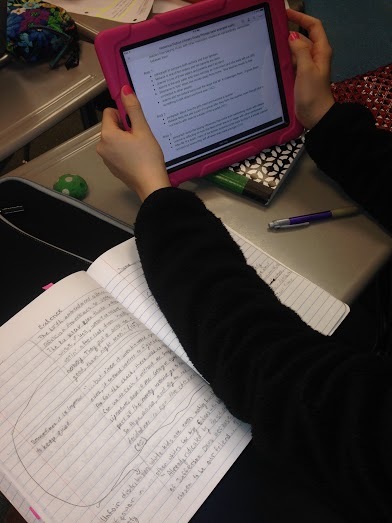 Students work with digital and paper resources. something is new, we tend to want to use it all the time; that’s part of our human nature. Balancing instruction and activities that are digital or online with other methods of instruction is important, especially while students and teachers are transitioning to new ways of doing things. Hybrid learning environments are most like what students are familiar with outside of school anyway. Use the technology to transform and redefine the learning experience. Aside from direct instruction that is intended to teach students a particular computer skill or program, don’t use the tech just for the sake of technology. Once familiar with technology options and uses, thinking about how the technology will improve or redesign lessons will make choices about integrating technology much easier. Make sure students feel like they have a voice. Students want to find out new ways to do things and they want to share what they know. Let them. Giving students a change to share what they know or ask them for help will create a strong community feeling in the classroom and everyone will learn the best ways to utilize the technology that is available. Keep assignments about what students learn, not the tool they use. When assigning a task, don’t worry so much about the program or app the students will use to complete it. Give clear, concise directions (and a rubric or checklist) so that students know what concepts and skills you are looking for them to demonstrate…and leave the rest up to them. Let them decide if they want to use type a document, make a video, or use pencil and paper, as long as they meet all the requirements of the assignment. 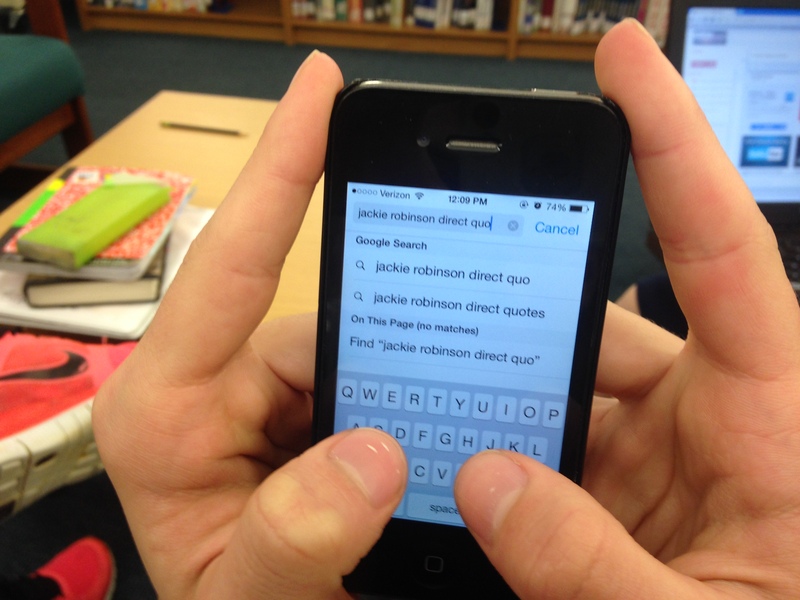 Speak honestly and routinely with students about good digital citizenship. Remind students that the internet is a public space. Remind students that they should treat people online fairly and kindly, just as they would in person. Remind students that the technology they use in school is not a toy and should be used for academic purposes. The education profession will keep changing with the world around us, even after we move to BYOD and 1:1 learning environments. New research, new technology, and new policies will continue to change education as we know it. Once the practices listed above are in place, it will be difficult for any teacher or student to imagine a 1:1 learning environment without them, and it will make it a lot easier for everyone to adapt to future changes. While students are in our classrooms every school day, all over the world, people are creating, sharing, and consuming information. Every second, Twitter, YouTube, Facebook, Skype, and other social media outlets are connecting people and ideas. It begs the question, just how much real-time learning is happening in our classrooms today? This is a powerful resource to let run in the background during meetings, PD sessions, parent workshops, etc. as a reminder of much information is created and consumed during such a short timeframe and to spark some interesting conversations about what being “college and career ready” really means today. The world around us is changing at an exponential rate. New technology, new information, and new ideas are available to us constantly. Maybe it’s more than we want, maybe it’s more than we need, but it’s there. And it’s not going away. Some of us in the trenches of the classroom are frustrated by all of this “newness”, because it feels like just as soon as we learn and get used to something new, it’s time to move on to the next new thing. 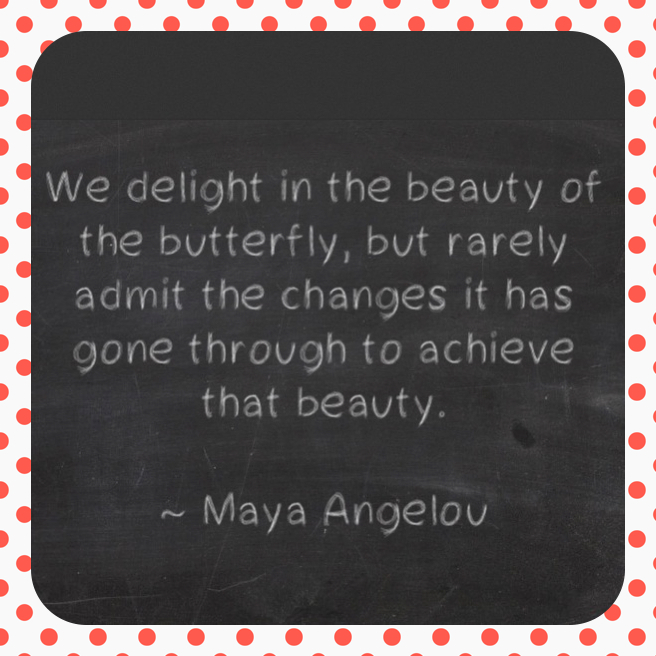 And some of us embrace these changes, we understand that change is inevitable, and we eagerly incorporate as much of the “newness” into our classrooms and our teaching as possible. This latter group is operating under the mantra of John Dewey’s words: “If we teach today as we taught yesterday, we rob our children of tomorrow.” We understand that, today, we have to prepare our students for the unforseen. Today, we have to prepare them for careers that haven’t been thought of. Today, we have to prepare students to compete against unknown opponents. Today, we need to prepare them to use technology that hasn’t yet been imagined, or maybe even be the ones to imagine and create it. Today, we need to teach our students how to adapt in an ever-changing world. The rate at which the “newness” appears is only going to increase as time goes on. We need to first: accept that, and second: understand that our job is no longer to simply teach students a neat list of ideas or concepts, but instead, we need to teach our students how to THINK. The “what” that they learn is replaced in importance by the “how” and the “why” that our students learn. When embracing change and adapting your classroom to all of the “newness” coming at you, these are a few strategies I find helpful. Don’t do it all at once. It wouldn’t be possible to incorporate every new app, website, or theory immediately. Choose one new thing at a time to try out, get used to, and then choose another. Choose what makes the most sense to you and your students. Incorporating change is a habit that needs to be built up gradually. Think about sustainability. When making changes in your classroom or to how you teach, think about what it will take for you to maintain this change in the future, and question the likelihood that this change is something that will continue to be necessary. The more you do it, the easier discerning sustainable changes will become. Support each other. Some teachers will simply have a harder time than others with all of the change. And probably, the longer an individual has been teaching, the harder it may be for that person to change. Before they break, help them bend. Share ideas. Share examples. Take time to teach and learn from each other. Listen to your students. The most important changes to make in your classroom are the ones the students will respond to, and benefit from, the most. Find out what their interests, aptitudes, and requirements are, and make the changes necessary for them to succeed in your class. Ask your students what they’d like to see become a part of your class, and you may be surprised. Change can be exciting and does not need to be an intimidating concept. In fact, what might actually be the most frightening idea of all, is what might happen if we don’t change.